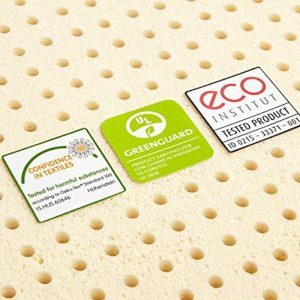 Mattresses - How To Choose The Right Mattress & Does It Matter? Mattresses Are So Numerous, How Do You Choose The Right Mattress & Does It Matter? With the advent of mattresses in a box that are compressed and made of many different materials, the choice and variety has never been greater and more affordable. Choices range from traditional to hybrid to memory foam, latex and combinations thereof. While generally confusing and somewhat frustrating for most, the variety, availability, and cost is a great benefit. Sleep disorders are experienced by almost half of the US adult population and can cause many problems. The quality of sleep is directly related to health. A good night’s sleep helps heal by physical regeneration, reduces fatigue, also related to an improved or normal circadian rhythm. Poor sleep quality has a number of causes like noise, light, temperature, and mattress quality. Almost 10% of sleep problems can be attributed to uncomfortable mattresses. A mattress can affect spinal loading during sleep, and relates to back pain and other physical causes of pain. The materials used in mattresses can make a difference. As far back as 1984, a study in the Medical Journal of Australia found a fleecy woollen underlay significantly reduced the postural activity and increased subjective estimates of sleep. A 1997 study in Applied Human Science found that an air mattress produced more absolute and relative humidity, resulting in higher sleeping temperatures than a futon mattress. A 2011 study in the Journal Biological Rhythm Research found that a memory foam mattress provided better sleep quality than a traditional spring mattress. This was measured objectively through actigraphy, as well as subjectively via questionnaire. The improvement was noted as a significant improvement in sleep onset latency (time to fall asleep) and sleep efficiency. The literature can get confusing. 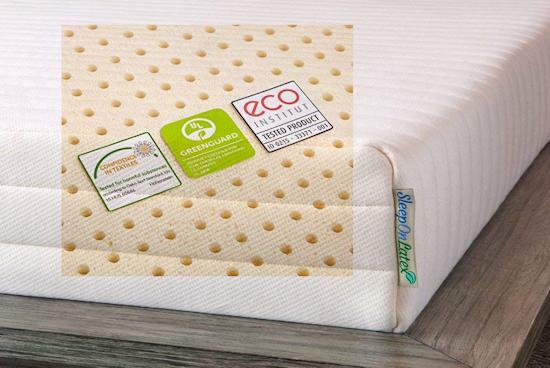 A 2014 study presented by the Proceedings of the 5th International Conference on Applied Human Factors and Ergonomics, indicated greater relaxation and significantly lower muscle activities for a spring mattress compared to a Tempur mattress during tossing and turning. 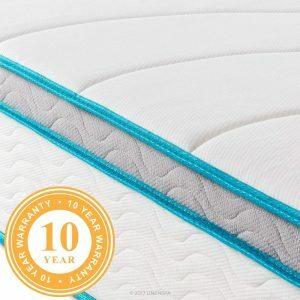 Now, this does not mean a spring mattress is better, just that the springs aid in motion as during changing positions, compared to memory foam that tends to react slowly to movement. 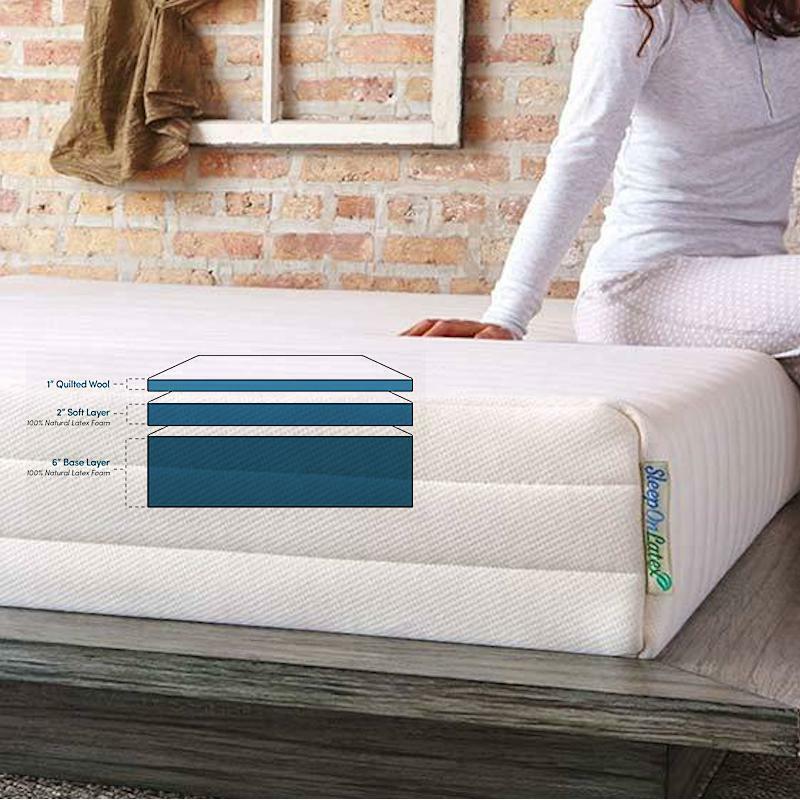 Contact pressure is related to body weight distribution on the surface of mattresses. A good mattress helps to minimize pressure areas that can cause undue compression. The areas of concern are the back, shoulders and buttocks. This can cause reduced sleep quality and resultant body stiffness and tiredness during the day. A 2002 study in the Journal of Manipulative and Physiological Therapeutics found significant improvement in back and shoulder stiffness and pain, as well as sleep quality after one month of a prescribed bedding system compared to a personal bed. Those with lower body weight showed the greatest effects. 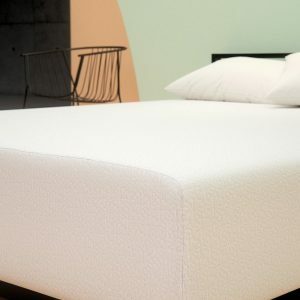 A 2017 study in th Journal of Chiropractic Medicine found that a latex mattress reduced peak body pressure and achieved a more even distribution of pressure compared with polyurethane mattress across different sleeping postures. A 2010 study in Applied Ergonomics concluded that concluded that mattresses are related to sleeping discomfort and that is possible to reduce discomfort and chronic back pain pain and increase sleep quality by replacing mattresses based on sleeping position. In general, a softer mattress is better accommodating for side sleepers and those who suffer hip and shoulder pain. A medium mattress is good for general sleeping for back and side sleepers, while a firm mattress is best for those who sleep on their back or stomach. A 2003 study in the journal Lancet.dispelled the commonly held by 75% of orthopedic surgeons that firm mattresses should be recommended for back pain. The authors found after 3 months, a medium firm mattress was better for parameters of pain on rising, pain in bed, daytime back pain, and disability as compared to a firm mattress for chronic non-specific lower back pain. A 2015 study in Sleep Science. found a significant shorter sleep onset latency with a medium firm mattress. The authors found a medium firmness mattress improved neck, upper back as well as lower back musculoskeletal pain. The main purpose of mattresses is supporting the body to permit muscles and spinal disks to recover from gravitational and postural strain. This recovery is best achieved theoretically when the spine assumes its natural physiological shape. To to the altered gravitational axis, a slightly flattened lumbar curve (lordosis) is assumed. This is why Chiropractors take radiographs in the standing position as opposed to lying down; to get a better functional representation of the lumbar curve. Hence, optimizing the mechanical characteristics of the mattress to weight distribution and body contours are highly individual factors. Optimal benefit precludes the notion that one mattress is beneficial for everyone is misleading. With a recommendation of a medium firm mattress, reduction of parameters like pain and discomfort will achieve success in about 60% of the population. About 65% of people are side sleepers, 20% back sleepers and 15% stomach sleepers. About 30% like firm beds, 60% prefer medium, and 30% like a plush firmness. Approximately half of people sleep hot. A 2009 study in the Journal of Chiropractic Medicine. 2009 found introducing a new bed system for those 5 years and older can reduce back discomfort and increase quality of sleep, and these factors may lead to a reduction of stress related symptoms. The authors found a medium-firm system reduced back pain almost 50%, improved quality of sleep by 55%. There was a significant increase in pain reduction and sleep quality along with a significant decrease in stress. Stress is related to poor sleep quality and is associated with insomnia and lack of sleep. Thus, improving sleep quality may decrease stress and related behavior. A 2015 study in the Journal of Sleep Disorders & Therapy concluded that replacing older mattresses due to loss of adequate comfort and support can result in a better sleep and reduce stress from lack of sleep. It was recommended to consider a new mattress rather than pharmaceuticals to achieve better sleep. The average age of the replaced bed was about 11 years. Psychological and physical symptoms of stress were significantly reduced, as well as a significant improvement in sleep efficiency. Older mattresses can be compromised due to use and age, losing both support qualities and structural integrity. These beds may not provide the comfort of a structurally sound mattress and can cause physical discomfort that interferes with sleep and contributing to daytime stress. Furthermore, our bodies change as we age due to many factors, and this may contribute to new requirements in a sleeping surface. We have reviewed some of the literature and considerations in determining when to get a new mattress and how to select one that fits your conditions and sleeping habits. We can certainly recommend a new mattress for older ones that have lost support and/or new conditions that develop due to age related or musculoskeletal factors. The bedding market is so pervasive and there is much competition. This has resulted in numerous designs and marketing schemes. These range from inexpensive to very expensive. The response to mattresses are personal or subjective. Some of the positive results are allowing a 100 night trial period. This makes it easier, however, you still have to set it up and, if you do not like it, dispose of it. While you may not have to pay for them to “pick it up”, it is my experience that you still have to move it, wrap it and take it out to where they get it, usually a third party disposal company. Try this with a king size floppy mattress and it is not easy. My experience is that some of these manufacturers need to focus on consistency of their product instead of marketing. I got a Casper some years ago for one of my children and it was a twin size. There was no choice for firmness. It was soft and my kid liked it. I prefer a soft mattress, so I decided to get one – a king size. Well, it was firm, very firm, much too firm. I called and the manufacturer said it was due to different manufacturing. They we kind enough to send a replacement. So, it came in a box and I took the old one down, wrapped it in the large plastic bag they provided, and took it out to the end of the the street for a company to pick it up. Well, the replacement was slightly less firm. This was disappointing, but I just did not want to go through the process again. So, I kept it. Over the years, my wife likes it and I do not. Having shoulder and hip problems does not react well to a very firm bed. So, the lack of consistency is a huge problem. They have come out with upgraded ones since; a layered foam using a “latex like” layer. I am impressed with the design of their new wave mattresses, which has softer contours for the shoulders and hips. It is not a cheap mattress, however, the lack of consistency I have experienced with them has impressed me with a reluctance to try it. I will say the current mattress has held up well over the years. I am currently talking with a new manufacturer that has a customization process and will update as progress continues. For now, I would recommend a quality latex mattress, but all latex and not a mix of latex with other types of foam. It should provide the longest lasting and most durable of the mattresses. Dunlop is the type of latex, since the springiness will help in ease of transitioning postures and this is important for those in pain. Fighting gravity to move while trying to rest is not a good thing. 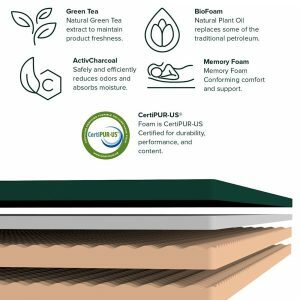 This is in opposition to all memory foam mattresses that are slow reacting and difficult to maneuver as well as retaining heat. The latex mattress should have an air flow system to reduce heat retention and decrease weight, as latex is heavy. 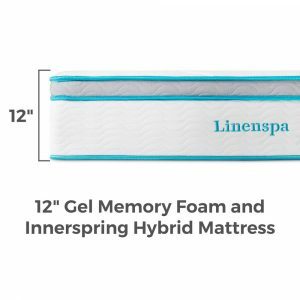 So, if for some reason a good latex mattress is not in your budget, there are hybrids and memory foam types that are reasonable. If your mattress is old and not providing support, or you have new conditions that alter mechanics like degenerative disc disease or arthritis, a new one may make a big difference, but don’t get one just to get one. If I responded to all the neat advertisements and designs, I’d have a new one every month. Some people are attracted to a certain type or advertising. It “speaks to them”. The cleverness never ceases to amaze me, both in design and marketing. So, some will appeal to your heart and that is fine, as long as you keep some room in your head for knowledge. If there are shoulder problems; this can directly affect your neck, so this and/or hip problems, the softer mattress will help ease the pressure, especially for side sleepers. For general bedding the medium firm mattress should be fine for back and side sleeping and can be recommended for non-specific back pain. If you sleep on your stomach or have a high BMI, a firm mattress will be good.